Valentino really knows how to do outerwear…well just about anything for that matter. This Valentino cotton-linen jacket is hot but pricey. 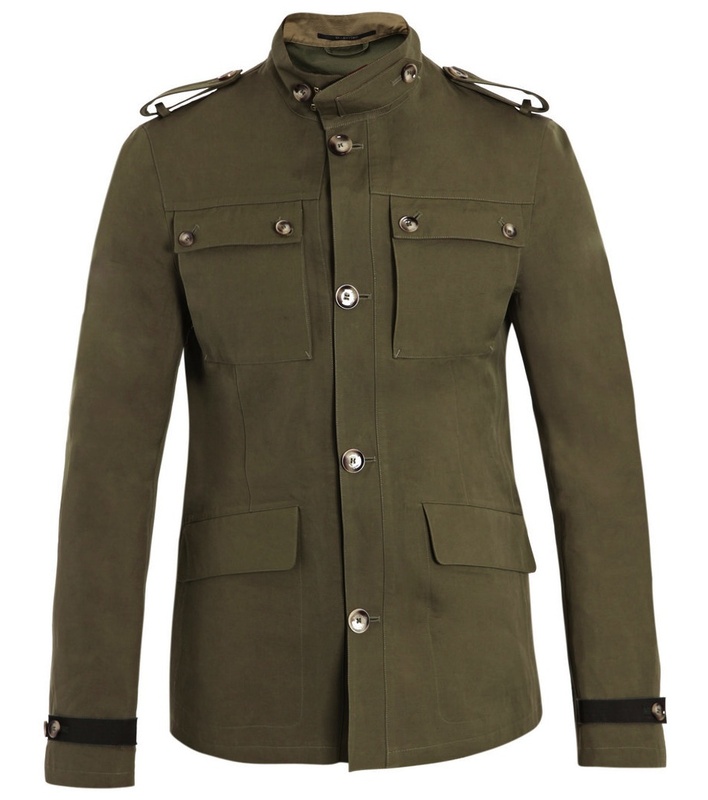 On the other hand, you can choose to use this and other designers like Moncler, McQueen and Belstaff as inspiration for the military look that seems very popular this season ($2,241).